Master’s Touch Roofing and Remodeling is a full service contractor who can protect your home and make it more beautiful. 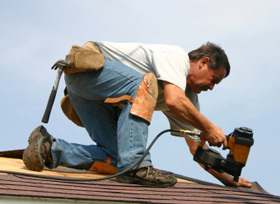 We do roof repair and replacement, remodeling, home additions and top-to-bottom new construction. Your house can have a fresh new look inside and out, while staying safe from the harsh Texas weather. We are a locally-owned and operated company. We understand how important it is to offer rock-solid craftsmanship. It has earned us an A+ rating with the BBB and many referrals. The rooftop often gives people a first impression of your home. It is also your first line of defense against the weather. Help it do its job by repairing leaks fast and fixing damage as soon as possible. When you call us, we make the process easy and we guarantee our work in writing. Asphalt shingles – We do shingle roof repair and roof replacement. Our preferred products are GAF and Owens Corning, and we are certified shingle applicators for CertainTeed. Let us take on any sized job. We can replace broken tabs, reroof the house, or top your new construction. Metal roof installation – Enjoy the value, beauty and energy savings of metal roofing. It is the perfect roof replacement when you want to upgrade. The materials can be recycled. You can even put them right on top of the roof you have now. Texas leads the nation in tornadoes and gets its share of wind and rain. You can’t control Mother Nature but you can count on us to be there for you when you need us. Call us 24/7 to repair roof storm damage. We can stop leaks on the spot and then come back for a long-term fix when the danger is past. We can also work with your insurance company. We will handle claim filings, walk the roof with your adjuster, and negotiate prices. You could save a lot of money or even get a new roof for free. Flat roofs need a strong barrier against rainwater. Even if your building is low-sloped, it can trap water and weaken the structure. We can help you protect your contents and workers with a proven-strength covering. Call now about installations, repairs and replacement. This is an affordable “cool roof” membrane that forms an unbroken shield on flat roofs. It moves with the building without cracking or tearing. It fits easily around protrusions for a water-tight seal, and resists hail and impact. The seams need to be fused perfectly if you want them to last, and we know how to seal them so they won’t come apart. Home additions add more square footage in the places you need it most. Reimagine your existing space to make it more livable and efficient. We can build all types of additions, suites or wings. Add a second story or take advantage of unused yard space. Master’s Touch is a full service residential remodeling contractor who can install windows, doors, electric and plumbing. There is no need to call a bunch of contractors; we take care of it all in-house. 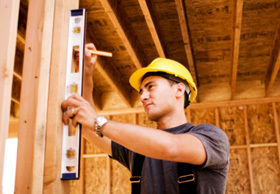 It’s important to us that building home additions is easy, stress-free and priced right for you. Perk up your living space. Get that luxury kitchen island you have always wanted. Ease the morning crunch with dual sinks in the bathroom. Come to us with your ideas for a better living space. We will make it more attractive, and you will have more room to store things and move around. Both kitchen remodeling and bathroom remodeling offer a very high return on your dollar if you ever decide to sell your home. But you will probably want to stay forever when you add unique touches to the rooms you use every day. Both our room additions and remodeling projects are designed to blend into the house you have now. They will never look slapped on. We pay particular care to your architecture and keep everything in proportion. We can handle everything you need to finish the work – even siding. From home additions to new roofing and remodeling, we think high quality at reasonable prices is the gold standard in home improvement. And we deliver on every project. Get to know us. We proudly provide roofing and remodeling in Round Rock, Pflugerville, Georgetown and the surrounding communities. Call now for a free estimate.